The final five of our top twenty albums of 2016 have all been number one in the various versions of the list that have been written, crumpled up and thrown away, such is the closeness of the five. 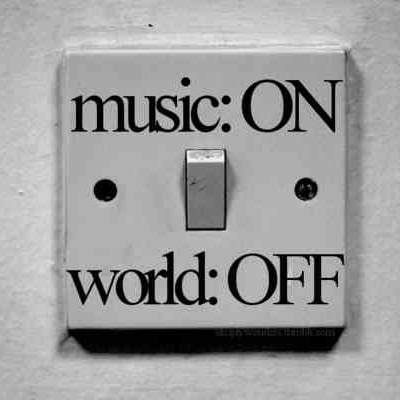 But here we present our final decision. 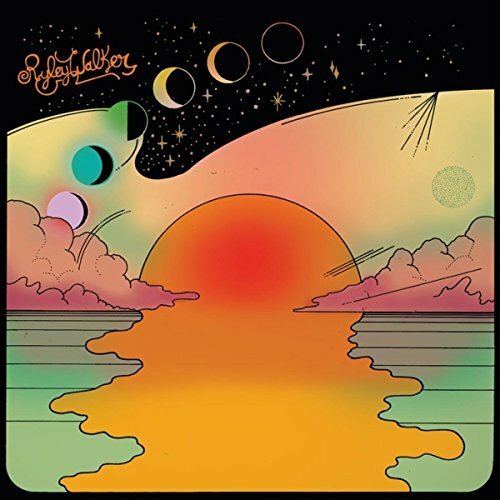 Golden Sings That Have Been Sung is Ryley Walker's third album following the underground successes of debut All Kinds Of You and last year's follow-up Primrose Green. It's an album that captures, as much as can be, the essence and spirit of Ryley's intense and thrilling live shows. The press release describes it as a coming of age, we'd go further and describe it as his masterpiece. Our review concluded : "At some point down the line, Ryley Walker will be recognised as a musical genius. Golden Sings is the complete antithesis of what major record labels and radio stations look at to turn over figures and listeners and, for those not familiar with Ryley's previous work or live shows, it will be a slow burner, a record that, despite the small number of ingredients, reveals some new detail every time you listen to it and one that you will return to time and time again in dark reflective moments, late at night when your mind is racing and music is your own companion." Funeral is the second album by Faroese artist Heidrik. It's a magnificent piece of art, delicate in its construction but opulent in its furnishings, easy to immerse yourself in but with depths that reveal themselves with each listen. 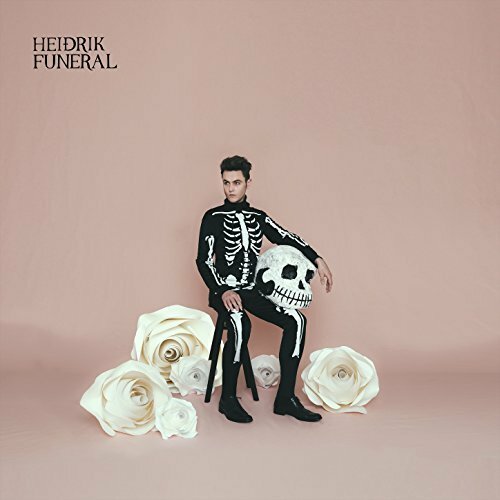 Our review concluded "Funeral is a stunning record, one that has emotions pouring out of every note with an intensity that grabs the listener and doesn't let go. It reveals something new with every listen whilst ever losing its raw power through repetition. 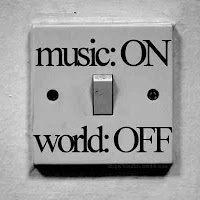 It's the best advertisement you'll ever hear for going out of your comfort zone to discover new music." Heidrik is on Facebook and Twitter. Blossoms were one of the success stories of the year. Their debut album reached number one in August and retained the top spot for a second week. Later in the year it was reissued as an extended edition with ten extra tracks from the series of EPs they released as they progressed from being one of our top tips for 2015 through the BBC Sound poll for 2016 to bona fide pop stars selling out ever increasing in size halls across the UK and further afield. A lovely credit even allowed us to fulfil a lifetime ambition of being mentioned on a number one album. Our review concluded "With expectations so high and Blossoms having cast their net far and wide with the variety and the high standard of the songs that accompanied the singles on the EPs, it was always a possibility that the album could be an anti-climax and, like all records where you know every beat and every word of half the songs before it comes out, there's definitely a couple of listens where it naturally feels a little weird, but those thoughts disperse very quickly and the new songs feel like you've known them all your life. 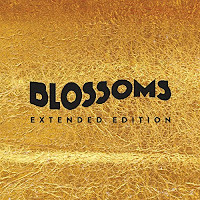 Whilst the delicious piano ballads and the harder psychedelic edged songs might have their day on future EPs and albums, Blossoms is very much their pure pop masterpiece and will only accelerate their unstoppable rise to the very top." 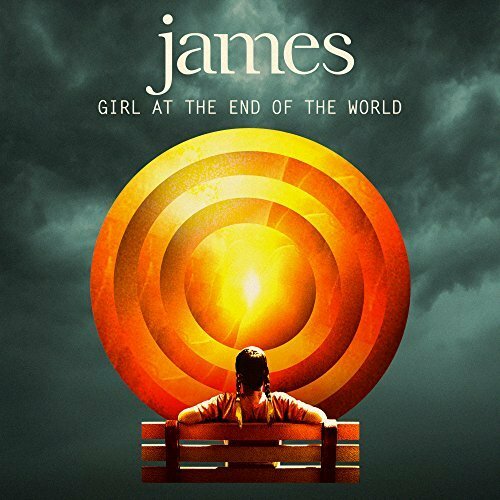 Girl At The End Of The World is James' fourteenth studio album and the band show no signs of slowing down or being any less vital on the basis of this record which reached number two in the album charts on release in March, only held off the top by the omnipresent Adele. For a band well into their fourth decade, it's an astonishingly upbeat vibrant record that reflects a shift in the band's creative head space. It's a record built around grooves the like you've never heard from James before and probably wouldn't expect, but they pull it off with aplomb. It's a James record alright, but not as you know them. Our review concluded : "Girl At The End Of The World is the sound of a band with a restless spirit, never standing still. They've never created a groove as rich and deep as they have on this record. Whilst it might take a little getting used to, unusually for a band that has always had an immediate hit on the listener, it's the most purposeful record they've made for a long long time and Tim's voice has never sounded as dynamic as it does here. It makes you want to dance in a way James never have before, there's the big anthemic songs to placate those who still hark back to the glory days of the nineties and it's proof that their creative juices are as fluid and diverse as they've ever been despite the advance of time." 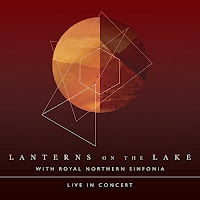 It would take a phenomenal record to dislodge James from number one, but Lanterns On The Lake have done just that with this live recording of their show with Royal Northern Sinfonia at Gateshead Sage back in February. With a set largely based around their third album Beings, Fiona Brice's arrangements give the songs even more gravitas and emotional charge than they have in their recorded versions. It's sparse in parts, just Hazel's piano and voice, before the band and orchestra come in and add layers and depths to the songs. Our review concluded : "Live With Royal Northern Sinfonia is a success on every level. Beautifully captured and mixed, it's a document of a collaboration that augments songs that are already meticulously constructed and emotionally charged. It's only available digitally at present, but it'd be a travesty for this not to get a physical release and recognition of its place as a truly exceptional work of art."